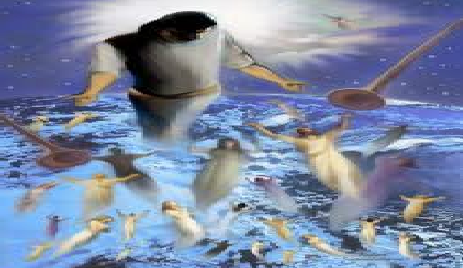 Bill Salus: Tuesday, April 12, 2011 Will Arab Protests Hasten Psalm 83 & Ezekiel 38? Following closely behind the 2010 pullout of American boots on the ground in Iraq, the first quarter of 2011 experienced an unprecedented period of Arab Protests. Even today’s top eschatologists are asking who opened up Pandora’s Box in the Middle East. Like California wildfires, these Arab protests have spread out of control across the region. Chronologically ordering the protests, which have often morphed into revolts, helps achieve a greater understanding of where Mideast events could be heading. February 11, 2011- Egyptians crowd Tahrir square for 18 days provoking Egyptian president Hosni Mubarak to relinquish his 30 year reign. Interestingly, the Egyptians are still protesting. However, now they want chief military leader Mohamed Hussein Tantawi to step down. Recently, Egyptian protesters crowded around the Israeli embassy promoting the “May 15th Million Man Arab March” against Israel. The goal of this March is to bring hundreds of thousands of Palestinian Refugees from the surrounding Arab communities to the borders of Israel. February 11, 2011 – Algerians and Yemenis begin independent protests. Many expositors believe Algeria participates in the Ezekiel 38 & 39 invasion of Israel as part of the "Put" delegation. Conversely, the Yemenis show up in Ezekiel 38:13 objecting to Russia's invasion plans under the banner of Sheba. February 11, 2011 – King Abdullah II of Jordan sacks his cabinet to sway off a popular revolution against his ruling Hashemite Kingdom minority. February 13, 2011 – King Abdullah II engages in the first round of a series of meetings with members of the Muslim Brotherhood (MB). The MB is pro-Palestinian and Anti-Israel. Additionally, they support Jihad against the Jewish State. Jordan appears in Psalm 83:6-8 as the Ammonites, Moabites, Edomites, and children of Lot. February 15, 2011 – To the extreme displeasure of Libyan leader Muammar Gaddafi, rebels protest his 40+ year rule and call for his ouster. Shortly thereafter, civil war breaks out between the rebels and Gaddafi supporters. At the time of the issuance of this article, Gaddafi is still ruling the country. Libya is listed among the Ezekiel 38 invaders. March 18, 2011 – Libya’s civil war drags France, Britain, and the USA into the fighting by implementing a “No-Fly” Zone over Libyan airspace. March 25, 2011 – Saudi Arabia annexes Bahrain as a 14th province under the jurisdiction of Riyadh in order to protect the ruling Sunni minority from violent protests emanating out from the Shiite majority. This move ruffles Iranian and Iraqi feathers and forces Saudi Arabia and the United Arab Emirates to combine forces and deploy 11,000 troops and numerous tanks into Bahrain. Saudi Arabia shows up in Psalm 83:6 as the “Ishmaelites” and as a protester alongside Yemen against the Ezekiel invaders. They are listed as Dedan in Ezekiel 38:13. The fate of this pending face off over Bahrain between Iran and Saudi Arabia remains unknown at the time of this article. Meanwhile, Israel has become increasingly insecure and isolated as a result of all the protests and renewed rocket assaults out of Gaza from the Hamas. Hamas, is identified in Psalm 83:7 as Philistia. This renewed violence has prompted Israeli Prime Minister Benjamin Netanyahu to recently visit Germany to procure a sixth “Dolphin Class Submarine.” These subs can support a nuclear payload and Israel presently has three in operation, two coming soon, and hopefully a sixth a few years down the road. Additionally, Israel has deployed their Iron Dome Defense System, which has intercepted 8 out of the 8 rockets aimed within its vicinity as of April 9, 2011. According to the “Israel Project,” which monitors the number of Hamas rocket assaults, Hamas has fired 315 rockets into Israel as of April 10, 2011. This eclipses the 238 rockets lobbed into Israel in 2010 and has many Israelis concerned its “Operation Cast Lead” all over again. 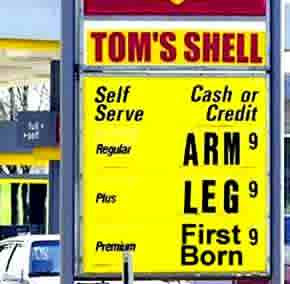 Additionally, due to increased oil prices, Americans are again experiencing pain at the pump. In 2009 the average price per barrel of crude oil was $53.48. In 2010 a barrel of crude averaged $71.21. Already in 2011 a barrel of crude oil has cost $108.00, prompting many economic analysts to project a summer spike of $150.00 per barrel. Many believe the cost per gallon of gasoline will soon surpass the $5.00 mark. While the world is struggling to remedy its global financial crisis, Mideast unrest is threatening to turn world economies into a tailspin. Liberal pundits believe the protest will result in Arab democracies popping up in the affected areas; however the irony is that all of these populations surface in the end time war prophecies of Psalm 83 and Ezekiel 38. Therefore, we can logically conclude that when the Mideast dust settles, the Israeli war prophecies will begin. I’m watching for the fulfillment of Psalm 83 first followed shortly thereafter by the Ezekiel 38 invasion. Both of these prophecies could occur between now and anytime real soon and likely during this present generation. Re: Bill Salus: Tuesday, April 12, 2011 Will Arab Protests Hasten Psalm 83 & Ezekiel 38? There should be no doubt that the next Gaza war won't resemble the 2008-2009 war, and it could start at any time. On Thursday, April 7, an anti-tank missile fired from the Gaza Strip by a Hamas terrorist slammed into an Israeli school bus loaded with children and exploded. No one was killed, but the message was clear: Israeli citizens, even little children, aren't safe anywhere. Immediately following the attack, a barrage of mortar fire from Gaza hit near Israeli towns in the Negev. Israel responded with helicopter gunships, and in short order Hamas announced that a ceasefire would go into effect Thursday evening. Two days later, Hamas resumed firing rockets and mortar shells at Israel. That's a ceasefire Hamas-style. If you follow events in Israel closely, you recognize the routine. First Hamas engages in indiscriminate attacks on innocent Israeli civilians. Next Israel responds. Then Hamas announces a unilateral ceasefire. Soon thereafter, the attacks resume, and Israel responds. Eventually, a full-scale war breaks out. It's as predictable as clockwork. That's how the Gaza War of 2008-2009 began, and that's how the next Gaza war will start -- only the next Gaza war will be markedly different. Since the end of the last Gaza War, we've witnessed a flurry of activity to rearm Hamas and Hezb'allah. For example, in November 2009, Israel seized a ship carrying Iranian arms bound for Hezb'allah on Israel's northern border. According to Israel's deputy naval commander, Rani Ben Yehuda, the cargo included "dozens of containers with hundreds of tons of arms." Later reports revealed that the shipment contained more than 500 tons of weapons. (One ton equals approximately 2,205 pounds.) Just last week, Syrian President Bashar al-Assad admitted that he has allowed Iranian weapons to flow through Syria to Hezb'allah, and Hezb'allah chief Hassan Nasrallah has made it clear repeatedly that Hezb'allah will cooperate with Hamas if another Gaza war breaks out. Those weapons are needed for an attack on Israel. In May 2010, the Israeli navy intercepted the "humanitarian aid" ship MV Mavi Marmara, which was bound for Gaza on Israel's eastern border. Nine terrorists posing as passengers died when they attacked Israeli commandos boarding the vessel. Ten commandos were wounded during the clash. Palestinian President Mahmud Abbas called the incident "a massacre"; a host of European Union officials demanded a full inquiry; Turkey erupted in protest; Turkish Prime Minister Recep Tayyip Erdoğan vowed to do his part to protect Palestinians in Gaza; and the global media launched a vigorous campaign to smear Israel. Scant attention was given to the fact that the ship's cargo contained weapons of war. In February 2011, the resignation of Egyptian President Hosni Mubarak allowed the Muslim Brotherhood to emerge from the shadows and engage openly in political activity for the first time in 57 years. Following Mubarak's resignation, Muhammad Ghannem, a leader of Egypt's Muslim Brotherhood, told the Iranian news network Al-Alam that the Egyptian people need to prepare for war with Israel. Supplying weapons to Hamas is a step in that direction. Mubarak worked with Israel to prevent weapons from flowing into Gaza though the Sinai Peninsula, but the Brotherhood's lust for Israeli blood raises serious doubts about that arrangement as we look to the future. Egypt and Jordan are the only two Arab countries to have made peace with Israel, and the Egyptian military says the peace is intact, but that can change quickly. As the Muslim Brotherhood gains political strength in Egypt, you can bet that it will change. In March 2011, Iranian President Mahmoud Ahmadinejad reached an agreement with Syrian President Bashar al-Assad to build an Iranian naval base in Latakia, Syria's largest port, from which Iran can operate freely in the Mediterranean Sea. Within days of the announcement, Israel intercepted a Gaza-bound ship leaving Latakia carrying Iranian weapons to Gaza. Syria is on Israel's northeast border, and the two countries have been sparring over the Golan Heights since the end of the 1967 Six Day War. Under the dictatorial regimes of Hafez al-Assad and his son Bashar, Syria has served as field headquarters for Hamas, Hezb'allah, Islamic Jihad, and a host of other Islamist terrorist organizations brazenly committed to Israel's annihilation. Will they take part in the next Gaza war? With Assad's power diminishing and Islamist groups in Syria increasing their strength, the answer is probably "yes" -- if not directly as combatants, then as guerrilla fighters. Since the Arab Spring began in Tunisia in January 2011, Iran has stepped up its efforts to spread its version of radical Islam throughout North Africa and the Middle East. Jordan's King Abdullah, noticing a tidal shift occurring in the region and feeling the heat at home, decided it was time to make nice with Iran. Both the Muslim Brotherhood and al-Qaeda have a presence in Jordan and close ties with Iran, but until recently, they have been kept in check. That's changing, too, and an emboldened Islamist element in Jordan could topple Abdullah's regime and/or force him to rethink Jordan's peace treaty with Israel. Will Jordan join the next Gaza war? The answer isn't an unequivocal "no." 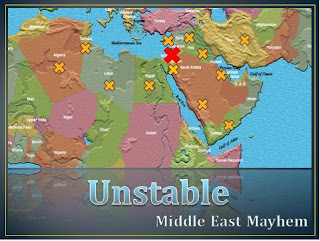 Iran's attempts to change the balance of power in the Middle East and North Africa by picking off one country after another is evident in Iraq, Bahrain, Yemen, Libya, and Saudi Arabia as well. President Obama's missteps in response to Iran's gains caused Saudi Arabia's King Abdullah to reexamine the United States' role in the region. Rather than deferring to the U.S., Abdullah sent Saudi troops into Bahrain to help quell violence there, and, according to Martin Indyk, former special assistant to President Bill Clinton and former U.S. ambassador to Israel, the King "views President Obama as a threat to his internal security." Moderate Arab leaders feel the same way. They have every reason to believe that President Obama will not come to their aid if they need help, but Iran stands ready to assist Islamist elements throughout the region. We're witnessing the fruition of President Mahmoud Ahmadinejad's plan to destroy Israel. His first step was to announce his intention to the world. Some mocked him, but he meant business. Next, he worked to undermine political regimes in every country in the region and to strengthen Islamist elements beholden to him. All the while, he has worked feverishly to develop Iran's nuclear capability. Today, Israel is surrounded: Hamas in Gaza on the west, the Muslim Brotherhood in Egypt on the south and southwest, Hezb'allah in Lebanon on the north, a host of emerging Islamist terrorist organizations in Syria on the northeast, and on the east, a weakened monarch in Jordan attempting to restrain radical Islamists. With Ahmadinejad's unswerving support, the only step remaining is a coordinated attack on Israel. Given its proximity to the Tel Aviv metropolitan area, Israel's most populous region, Gaza is the logical place for the war to begin. From southern Lebanon, Hezb'allah has promised to join the fight, probably with an attack on Haifa, Israel's third-largest metropolitan area. Syria, Egypt, and Jordan may join the fight as well, and Israel could end up fighting a war for survival on all sides, much like the Six Day War. But things have changed markedly since 1967. The U.S. is weaker in the Middle East than it has been in decades, and Islamist groups are stronger than they have ever been. There should be no doubt that the next Gaza war won't resemble the 2008-2009 war, and it could start at any time.